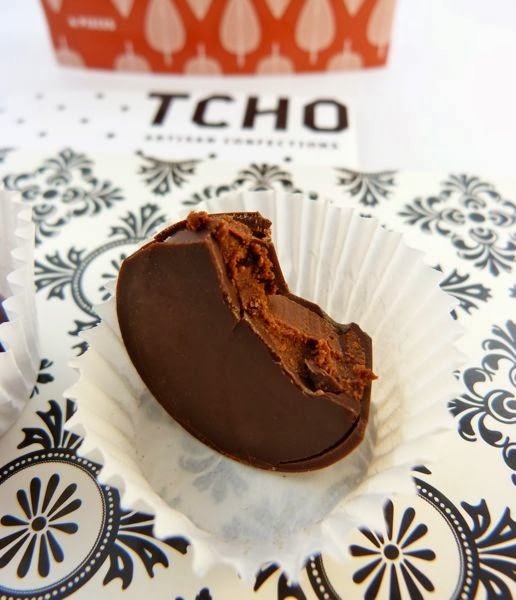 TCHO was a leader in helping educate chocolate lovers about specific flavor notes that could be coaxed from cacao beans from various origins. 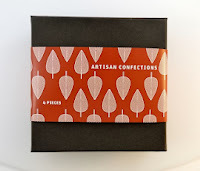 They created (and still offer) four basic PureNote dark bars: "Citrus," "Nutty," "Chocolatey" and "Fruity" -- so named because of flavor notes that are present with certain beans. 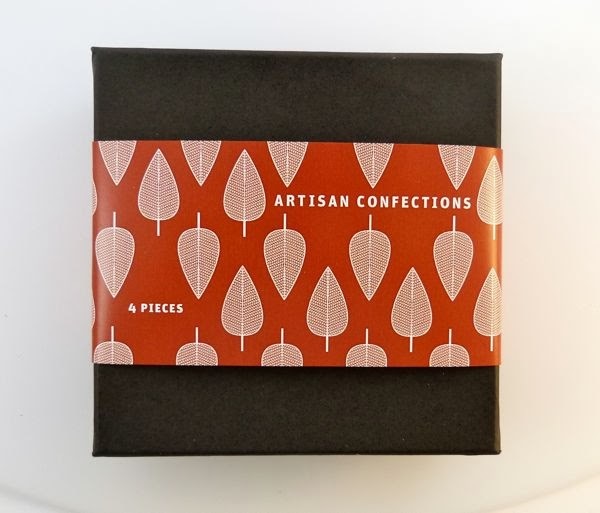 More recently, the company has branched out into different products, and this last year decided to produce a limited number of confections. 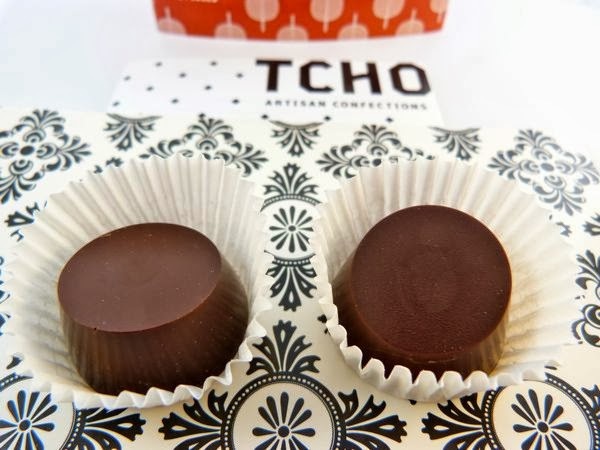 In the display case of their shop in San Francisco, were four different flavors -- one that corresponded to each of their four basic flavor groupings, available by the piece. 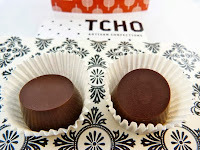 Each confection/truffle was paired with complementary flavor additions. 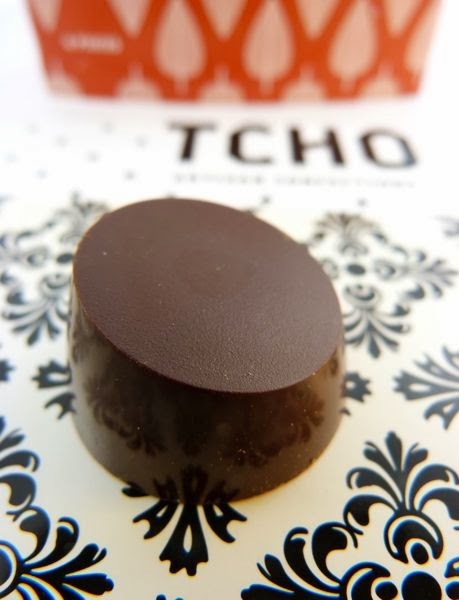 Today's dark truffle used TCHO's PureNotes dark "nutty*" 65% cacao chocolate as a base, made with beans from Ecuador. (This chocolate was described as having hints of roasted nuts, espresso and toasted malt.) It paired very nicely with a touch of spirits, a great choice for the winter holidays. The smooth, dark ganache (filling) was infused with Woodford Reserve Craft Bourbon (Versailles, KY). *Note: "Nutty" describes a flavor profile. There are no nuts in this blend.